The Hair Simulation Company (HSC) and its sister company, Permanent Makeup of Atlanta, have evolved over the past nineteen years, offering a variety of services, including Scalp Micro-Pigmentation (SMP) for adding the illusion of more hair. Cheryl Rosenblum, founder of The Hair Simulation Company, was the first licensed tattoo artist to perform cosmetic tattooing in the State of Georgia. Cheryl is board certified to practice and teach cosmetic tattooing, is also the founder of Permanent Makeup of Atlanta, and has trained cosmetic tattoo artists from all over the country. 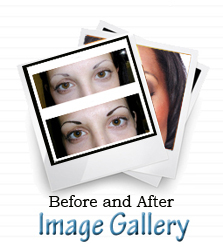 Currently, Permanent Makeup of Atlanta specializes in Eyebrow Micro-blading for both men and women. The Hair Simulation Company specializes in SMP, which is a perfect solution for creating a more dense hairline or filling in thin areas. Our Medical SMP is amazing for hiding transplant scars and can be used with an existing hair transplant to add density. We have been in the SMP industry for almost twenty years. HSC, through our constant need to revolutionize the industry, has embarked on introducing the world-renowned Scalp Micro-Pigmentation, which we have mastered and have been offering to our valued customers for nineteen years. This innovative treatment can restore even a completely hairless head to look like a full head of well-groomed hair. SMP is the best non-surgical treatment for female and male hair loss: a life-altering treatment where natural pigments are applied to replicate the natural appearance of real hair. Cheryl started tattooing hair transplant scars on all skin types over nineteen years ago and started using SMP on on her own crown. After many successful years, she opened Hair Simulation Company, which specializes in SMP for men and women with Afro-textured hair. During 2018, she has expanded the service and added a lighter version of SMP for her Hispanic and Mediterranean clients. Cheryl has refined her practice over the years; and her highly skilled team and support staff consists of master barbers, barber instructors, cosmetic tattoo artists, cosmetologists, and medical professionals. We are proud of our professional team and the specialized expertise everyone brings to our Hair Simulation treatments and procedures. Cheryl is a pioneer in the cosmetic tattooing industry and specializes in Scalp Micro-Pigmentation (SMP). She is proud to be first Licensed Cosmetic Tattoo Artist in Atlanta to be both a licensed tattoo artist and Board Certified Practitioner by The American Academy of Micro-Pigmentation (AAM).